Back in 2013, SEBI mandated all AMCs (asset management companies) to offer direct plans which would an give an option to invest in mutual funds without paying any commission or advisory fees to brokers, agents and distributors. Long-term investors, who opt for direct mutual fund over regular mutual fund, are likely to save up to 20 per cent if they stay invested for 20 years or more. But there is a catch. Direct mutual funds are only suitable for investors who understand the financial market. They have to take their own call to invest as there is no intermediary involved to provide them financial advice/guidance. The below chart captures the differences between direct and regular mutual funds. On an average, there is a difference of 1 per cent in the expense ratio of direct and indirect mutual fund plans. This 1 per cent would accumulate to be a significant amount over long term. For example, if you invest Rs 10 lakh in a regular mutual fund plan for 20 years, then it will compound (grow) to Rs 96,46,293, assuming the fund delivers a CAGR (compounded annual growth rate) of 12 percent. Yet, only around 12% of investors invest in direct mutual funds. A major reason is that investors don't know how to switch between the two funds. 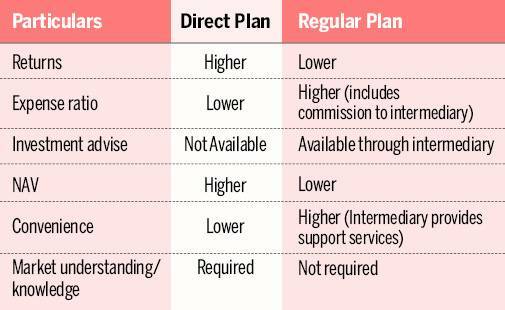 How can you switch your existing regular mutual fund to a direct plan? Not many mutual fund investors are aware but a switch can be made between regular mutual fund plan and direct mutual fund plan. 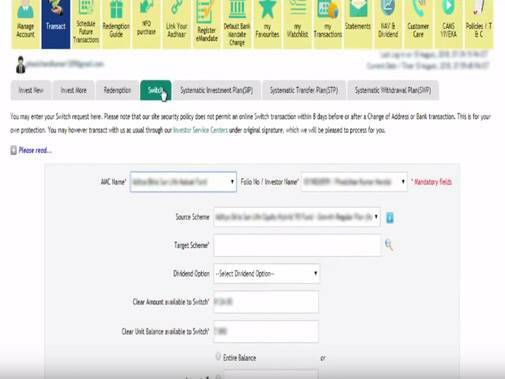 The switch can be made easily through your RTA or fund house's website. 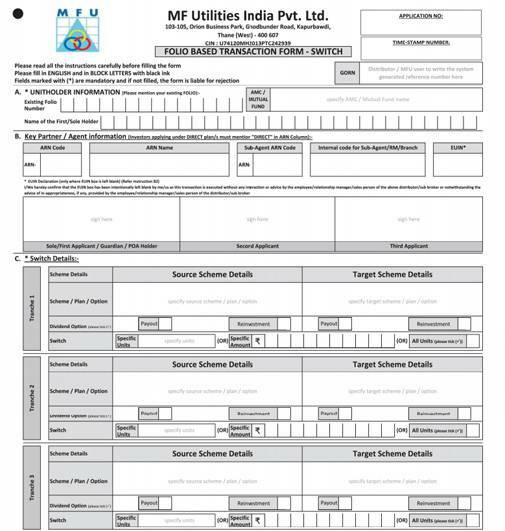 Registrar & Transfer Agent (RTA) - RTA such as CAMS and Karvy provide an online form which can be filled to make an easy switch. This is by far the best method because in one go you can switch all your existing mutual funds. Please refer to the sample image below. Asset Management Company (AMC) website - AMC website also provides the option to switch through filling up a form. However, if you own funds of more than one AMC then you need to fill the below switch form for each AMC separately. A critical point to note here is that switching is considered as redemption in the existing regular mutual fund and investment into the direct variant of same mutual fund. Therefore an exit load and STCG (short term capital gain) tax may apply.